A high-pressure sales approach often makes leads and prospects uncomfortable. Potential clients want to be courted without feeling the pressure from a persistent sales pitch. Sales expert Bob Burg believes "a low-pressure--even no-pressure--[sales] approach will ultimately result in far more sales (not to mention greater career satisfaction for its practitioners)." Furthermore, Edward C. Bursk, a former editor of Harvard Business Review, describes low-pressure selling as "not driving the prospect into a buying decision, but letting him reach the decision himself." This is difficult for salespeople, who often face quotas and have consider their commission and take-home pay. Balancing low-pressure pitches with a healthy career is important. Here are five ways to establish buy-in and close sales without making leads feel pressured or intimidated. Your biggest competitive advantage comes from being able to fulfill your customers' most important needs better than other vendors. Therefore, in order to maintain your competitive edge and have prospects organically choose you, be proactive about building the product or service your clients need and want. As soon as you identify your customers' most critical needs, leverage that feedback to profitably improve your products. Make this a regular business process. Salespeople yield significant influence with product design, engineering, and marketing. Use your client-facing experience to help build a customer-centric brand that will naturally pull in buyers. In sales, nearly half of all the leads you identify may be qualified customers who are not yet ready to buy. For shoppers who prefer to purchase at their own pace, email drip campaigns deliver the information they need in a timely manner to help prospects reach a favourable purchasing decision. Using drip marketing, you can complement the buyer's journey. This allows you to handhold customers through each stage of their decision-making process before finally pitching your services. Top-of-mind drips to consistently engage prospects through each step of the sales cycle. Educational drips to inform potential customers about your offerings, trends that apply to their business, and how your product is the perfect solution for their needs. Re-engagement drips to connect with customers who stopped using your product or leads who went cold. Competitive drips to educate prospects who patronize your competitors about your unique advantages to ultimately convince them to choose your solutions instead. Promotional drips to incentivize leads to purchase during a limited-time promotion or using an exclusive discount. Training drips to seamlessly on-board new customers who want to learn ways to fully use your product or service and extract more value from your offerings. 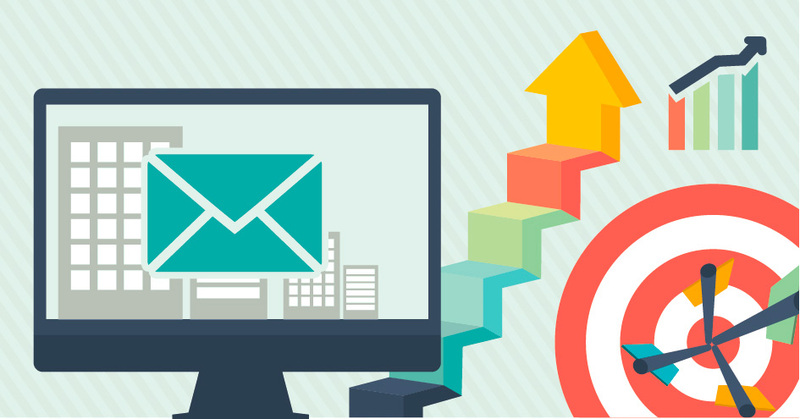 Regularly optimize the content and timing of each email. Over time, you will be able to develop a solid schedule for when you will deliver messages to leads and what to include each time. To exhibit more traits that appeal to buyers, adopt a different role entirely. With prospects, act as a consultant instead of a sales representative, recommends sales manager Mark Stoddard. Work collaboratively with potential customers to identify what they actually need from the engagement. Stoddard says, "Once you learn to understand and diagnose the problems your prospects are facing, you can problem-solve together. The value of your product will be much more apparent to the prospect, sometimes without even a need for a pitch." Some prospects need to see it to believe it. Propose a free trial that offers all the functionality the client needs to be completely swept off their feet. Make it either a time-sensitive offer in which the customer only has access to your product or service for a week or a month--just enough time to tinker around with your tools and extract enough value to make their purchasing decision a no-brainer. Alternatively, provide an access-limited account in which customers pay for premium features and upgrades. In this instance, select features would be free to users for a lifetime. In a blog post, entrepreneur João Romão explains the three main reasons companies should offer free trials to leads and prospects. To convert skeptical customers. A commitment-free opportunity to give a product or service a test run allows prospects to see how well your offerings actually work for them. This is a way for vendors to earn buyer trust too. To defend against competitors and grow market share. Though many clients who activate their free trial may never convert to paying customers, they also may never switch to purchasing product from competitors. This helps sellers access and acquire a much broader customer base. To outshine the competition. Buyers almost expect to be able to try out your product or service risk-free. Sellers with a compelling free trial offer find themselves in an advantageous position because they have more opportunity to showcase their product's benefits and features to qualified buyers. Of course, the work does not stop when you acquire a free trial user. To turn trial users into paying customers, you need to teach them how to take full advantage of your tools. Activate your users by walking them through how to use your product or service and apply it to their business. Email and in-app messaging typically work best to engage users and get them onto your platform. Online marketing and conversion rate enthusiast Steven Macdonald outlines eight steps for converting free trial users into paying customers through email marketing. Send multiple emails throughout the trial period and lighten the pace of email delivery after the user's trial ends. Offer free trial extensions to customers who have not yet signed up as paying customers but have been actively using your free tools. Source feedback to understand buyers' biggest reservations, which prevent them from purchasing. The most successful soft-sellers employ targeted ads to deliver content and information prospects need to progress through each stage of the sales cycle. With retargeting, brands guarantee that their ads will be viewed by audiences that recently interacted with their website. Through the three main phases of the sales funnel, sales teams ought to promote different types of creatives that align with how far along buyers are in their decision making process. Top of the funnel. Ads that share a brief overview of a brand and its services reiterate the brand's competitive advantage and unique selling points. For example, marketing consultant Brian Honigman advises, "For the awareness stage, create Facebook ads that drive visibility to your campaign with messaging that's light and informative, and provides high-level information about your organization. Facebook ads with the goal of generating awareness shouldn't be focused on a hard sell, but more of a general introduction to your business, its story, and its offerings." Middle of the funnel. These pages capture or reinforce buyer interest. Promote ads that link to related industry news, branded content and other thought leadership pieces, earned media and positive press mentions, and results-oriented case studies. Bottom of the funnel. These include re-purchase offers such as audits, product demos, and free trials. This allows salespeople to generate further buy-in with leads who may now understand the value they would receive post-purchase. Smart salespeople work closely with their colleagues in product to build apps, tools, and services customers actually need and want. They also team with marketers to craft and deliver email marketing campaigns. To close more contracts, successful sales reps collabourate with clients to problem-solve together and share advice and content to help prospects excel at their jobs. Using free trial offers, they bring buyers one step closer to purchasing. With retargeting, sales teams are able to remain top-of-mind, allowing buyers to discover new information at their own pace. Ultimately, the best sales teams focus primarily on delivering happiness and value to potential clients who, organically, convert into loyal paying customers.